In previous Revolution Roundups , we featured mass protests by the people of Ireland, Italy, Britain, Austria, Greece, France and Portugal, as the Global Insurrection contagion spread throughout Europe. And now, as we have seen over the past month, North African and Middle Eastern nations have joined the movement as the people of Egypt, Tunisia, Jordan, Morocco, Gabon, Mauritania, Yemen, Bahrain, Libya, Palestine, Iraq, Sudan and Algeria have taken to the streets en masse. The global banking cartel, centered at the IMF, World Bank and Federal Reserve, have paid off politicians and dictators the world over — from Washington to Greece to Egypt. In country after country, they have looted national economies at the expense of local populations, consolidating wealth in unprecedented fashion – the top economic one-tenth of one percent is currently holding over $40 trillion in investible wealth, not counting an equally significant amount of wealth hidden in offshore accounts. 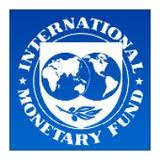 IMF imperial operations designed to extract wealth and suppress populations have been ongoing for decades. As anyone researching economic imperialism will know, a centrally planned Neo-Liberal aristocracy controls the global economy. “They have a four-step strategy for destroying national economies…. We are about to enter what they would call Step Three. Step Three is when you’ve looted the economy and now food and basic necessities all of a sudden become more expensive, harder to get to. And then, Step 3.5 is when you get the riots. We are fastly approaching that…. To be clear, there are several significant factors contributing to rising food prices, such as extreme weather conditions, biofuel production and Wall Street speculation ; but the Federal Reserve’s policies deliberately threw gasoline all over those brush fires. QE2 was another economic napalm bomb from the global banking cartel. It’s a view shared by Ed Yardeni, a veteran financial market analyst, who reached a similar conclusion in a research note to investors…. He joked that Fed Chairman Ben Bernanke should be added to a list of revolutionaries, since his quantitative easing policy, unveiled last year in Wyoming, has provoked unrest and change in the developing world. The people throughout the Middle East and Northern Africa, on the fringe of the Neo-Liberal economic empire and most vulnerable to the Fed’s inflationary policies, are the first to rebel. Before analyzing the situation within the US, let’s take a closer look at the global Neo-Liberal economic policies that led to the Egyptian and Tunisian revolts. In the Middle East and North Africa populations are rising against their local dictators. However, these “dictators” take orders from the IMF. Looking back, protests and riots started in 1977 against the regime of Mohammed Anwar Al-Sadat, Mubarak’s predecessor. The causes of these protests were the neo-liberal policies that the I.M.F. had handed down to Sadat. The I.M.F. policies ended government subsidies on basic daily commodities of life. Food prices jumped and Egyptians became hard-hit…. The Arab people grasp the fact that their ruling class and governments are not only corrupt regimes, but also comprador elites, namely the local representatives of foreign corporations, governments, and interests…. In Egypt, Gamal Mubarak (who was being groomed by his father for the presidency) worked for Bank of America. In Tunisia, Zine Al-Abidine Ben Ali was a military officer trained in French and American military schools who, once in power, served U.S. and French economic interests. In Lebanon, Fouad Siniora was a former Citibank official before he became prime minister…. Within the corrupt Palestinian Authority, Salam Fayyad worked for one of the banks forming the U.S. Federal Reserve and the World Bank…. “The revolution in Egypt is as much a rebellion against the painful deterioration of economic conditions as it is about opposing a dictator…. When people are facing a dim future, in a country hijacked by a corrupt regime that destabilized its economy through what the CIA termed, ‘aggressively pursuing economic reforms to attract foreign investment’ (in other words, the privatization and sale of its country’s financial system to international sharks), waiting doesn’t cut it…. Tunisia’s dismal economic environment was a direct result of its increasingly ‘liberal’ policy toward foreign speculators. Of the five countries covered by the World Bank’s, Investment Across Sectors Indicator, Tunisia had the fewest limits on foreign investment…. Egypt adopted a similar come-and-get-it policy, on steroids…. But, as we learned in the U.S., what goes up with artificial helium plummets under real gravity…. Not surprisingly, those foreign speculation strategies didn’t bring less poverty or more jobs either. Indeed, the insatiable hunt for great deals, whether by banks, hedge funds, or private equity funds, as it inevitably does, had the opposite effect…. Comparable economic statistics between the US and Egypt are facts that US mainstream media propagandists are not reporting. “One of the driving factors behind the protests is the… growing sense of inequality. ‘They’re all protesting about growing inequalities…. The top of the pyramid was getting richer and richer,’ said Emile Hokayem of the International Institute for Strategic Studies in the Middle East. As the US mainstream media references the “oppressive” and “corrupt” inequality of wealth throughout Egypt, the hypocrisy is shameful. The inequality of wealth in the United States is currently the most severe it has ever been. Gini coefficient ratings are a measure of a nation’s inequality – the higher a nation scores, the more unequal the society is. The US has a Gini coefficient rating of 45, compared to Egypt’s 34.4, Yemen’s 37 and Tunisia’s 40, making the US the most unequal, “oppressive” and “corrupt” of the four. When well-paid “experts” in expensive suits sitting behind desks in state of the art studios discuss the hardships of the Egyptian people, something tells me that these pundits haven’t spent much time interacting with tens of millions of people living in inner city America – just because the mainstream media doesn’t cover them, doesn’t mean they don’t exist. They exist in larger numbers in the US than they do in most rebelling countries. The rising price of food has played a pivotal role in sparking the uprisings, food prices have a larger impact in countries like Egypt and Tunisia, as they represent a more significant percentage of total income. However, the overall costs of living in the US are significantly higher. When these costs are factored in — medical expenses, housing, transportation, education, etc. – the US poverty level of $22k per year, for a family of four, is comparable to the poverty rate measure in Egypt. According to the CIA, the poverty rate  in Egypt is 20%. With a population size of 83 million people, this would put 16.6 million Egyptians living in poverty. In the US, the current poverty rate is 16.8% , with a population of 309 million, this puts 52 million Americans living below the poverty line. When you consider that the US has 52 million people currently living in poverty, you realize, as shocking as it may sound, that we have a larger number of desperate people in the US than rebelling populations in countries throughout the Middle East and Europe. Overall, in comparison to Egypt, the US population is obviously more geographically spread out, but if you breakdown the demographics, many large US cities have a poverty rate higher than the 20 percent rate in Egypt. Consider that, according to low-ball government statistics, nine major US cities have a poverty rate over 25%. “In Egypt, as in Tunisia, the young people who initiated the street campaigns were educated, internet-savvy activists with no political affiliation. [Sound familiar?] After watching the fervour unleashed in the past month, young Syrians, Bahrainis, Algerians and even the quiescent Libyans are turning to Facebook and Twitter to call for their own ‘day of rage’. “In Tunisia, the young people who helped bring down a dictator are called hittistes—French-Arabic slang for those who lean against the wall. Their counterparts in Egypt… are the shabab atileen, unemployed youths… In Britain, they are NEETs – ‘not in education, employment, or training.’ In Japan, they are freeters: an amalgam of the English word freelance and the German word Arbeiter, or worker. Spaniards call them mileuristas, meaning they earn no more than 1,000 euros a month. In the U.S., they’re ‘boomerang’ kids who move back home after college because they can’t find work. Even fast-growing China… has its ‘ant tribe’ – recent college graduates who crowd together in cheap flats on the fringes of big cities because they can’t find well-paying work. In each of these nations, an economy that can’t generate enough jobs to absorb its young people has created a lost generation of the disaffected, unemployed, or underemployed—including growing numbers of recent college graduates for whom the post-crash economy has little to offer…. “MW: Is it possible to ‘walk away’ from a student loan and declare bankruptcy? Alan Nasser: No, it’s not possible for student debtors to escape financial devastation by declaring bankruptcy. This most fundamental of consumer protections would have been available to student debtors were it not for legislation explicitly designed to withhold a whole range of basic protections from student borrowers. I’m not talking only about bankruptcy protection, but also truth in lending requirements, statutes of limitations, refinancing rights and even state usury laws – Congress has rendered all these protections inapplicable to federally guaranteed student loans. The same legislation also gave collection agencies hitherto unimaginable powers, for example to garnish wages, tax returns, Social Security benefits and – believe it or not – Disability income. Twisting the knife, legislators made the suspension of state-issued professional licenses, termination of public employment and denial of security clearances legitimate measures to enable collection companies to wring financial blood from bankrupt student-loan borrowers. Student loan debt is the most punishable of all forms of debt – most of those draconian measures are unavailable to credit card companies…. These students weren’t expecting an economic crisis to occur, and, unlike the banks that lent them the money, they’re not getting a bailout. Also factor in that the overwhelming majority of new jobs, the few that are being added, are either part-time, temporary or in low paying fields without health or retirement benefits. Mix all of this together, and you have a vicious cycle with devastating consequences. Given the size of this segment of the population, carrying this much debt, at such a young age, with limited prospects, you can feel the winds of revolution blowing. “It is laughable that everyone believes the labor market in the U.S.A. is improving.… The data from the Household survey are truly insane. The labor force has plunged an epic 764k in the past two months. The level of unemployment has collapsed 1.2 million, which has never happened before. People not counted in the labor force soared 753k in the past two months. These numbers are simply off the charts and likely reflect the throngs of unemployed people starting to lose their extended benefits and no longer continuing their job search (for the two-thirds of them not finding a new job). These folks either go on welfare or they rely on their spouse or other family members or friends for support…. ‘The policy makers don’t tell us that most of the new jobs being created in such meager numbers are, in fact, poor ones, with lousy pay and few or no benefits. What we hear is what the data zealots pump out week after week, that the market is up, retail sales are strong, Wall Street salaries and bonuses are streaking, as always, to the moon, and that businesses are sitting on mountains of cash. So all must be right with the world. Jobs? Well, the less said the better. What’s really happening, of course, is the same thing that’s been happening in this country for the longest time — the folks at the top are doing fabulously well and they are not interested in the least in spreading the wealth around. In the US, we have over six million people who have now been unemployed for over six months, the highest total we have ever had. Factoring long-term unemployed and part-time workers looking for full-time work in to the total unemployment count, we now have over 30 million Americans in need of employment. “Year over year, home values were down 5.9 percent nationally, and have fallen 27 percent since their peak in June 2006. The total value of US single-family homes fell a staggering $798 billion in 2010’s fourth quarter, and for the entire year, more than $2 trillion…. The number of US homeowners ‘underwater,’ i.e., owing more than their homes were worth, at the end of 2010, jumped to 27 percent, up from 23.2 percent in the third quarter…. ‘The rate of homes selling for a loss reached a new peak in December, with more than one-third (34.1 percent) selling for a loss. The rate of homes sold for a loss has increased steadily for the past six months.’ Some 15.7 million homeowners had negative equity at the end of the fourth quarter, in households home to more than 40 million people. The massive number of those underwater will ‘surely lead to higher foreclosure rates soon,’ notes CNNMoney…. Economist Joseph Stiglitz, speaking at a conference in Mauritius February 9, predicted that another 2 million foreclosures would take place in the US in 2011, adding to the 7 million already recorded since the financial meltdown of 2008. “One state after another is reporting that it cannot pay its bills. Public employees across the country are walking the plank by the tens of thousands. Camden, N.J., a stricken city with a serious crime problem, laid off nearly half of its police force. Medicaid, the program that provides health benefits to the poor, is under savage assault from nearly all quarters. “The looming possibility of municipal defaults, which some say could total hundreds of billions of dollars, is causing grave concern. Hedge funds are also deeply concerned about America’s municipal debt crisis. They worry about how to best profit from it. Republicans and Democrats, along with their Wall Street masters, are so arrogant, deluded with wealth, completely lacking perspective, shortsighted and, quite frankly, ignorant. As the economic top one-tenth of one percent has more wealth than they have ever had, the middle class is quickly disappearing and poverty is soaring. As politicians ignore the needs of the suffering masses in favor of a Kleptocratic Oligarchy, which operates above the law, it is only a matter of time before an uprising takes hold. After analyzing societal and economic indicators within the US, in comparison to rebelling countries, it is not a matter of whether people will revolt or not, it’s a matter of when. 1) The US has a much more powerful, sophisticated and omnipresent propaganda media system to keep the populace suppressed – isolated and confused. 2) The US keeps 52 million people temporarily pacified in anti-poverty programs  by giving them food stamps, unemployment benefits or other forms of life-sustaining government assistance. Both of these differences are temporary, and not in any way sustainable. The safety nets here are unraveling and cuts in vital social services will be implemented just as millions more will need them. At the same time, food stamps and other forms of limited government assistance will be worth less and less as food and gas prices continue to rise. Rising commodity prices will push the 239 million  Americans currently living paycheck to paycheck over the edge. Also factor in healthcare costs, which have been skyrocketing even faster. On a personal level, my health insurance provider just notified me that my family has to pay 45% more for coverage – and we already had the world’s most expensive healthcare system. For my wife, one child and myself, we will now have to pay over $1100 per month for a basic health insurance plan. There are currently 59 million Americans who don’t even have healthcare insurance. The health system has become vintage Grapes of Wrath , as have most aspects of the centrally planned system of economic despotism that we live under. Add all of these factors together and you have a recipe for revolution. The mainstream propaganda news outlets and “Reality” TV soma will only keep people at bay for so long. The propaganda system collapses when people can’t afford to eat. Americans may be late to the party, but once one city revolts, the dominos will fall and a wave of protest will sweep through the country like a tsunami. The only questions are: when will it happen, and how it will begin? Food prices have been a leading indicator for rebellion thus far. Given the Federal Reserve’s commitment to driving food prices higher, as a matter of policy, and the government’s commitment to cutting assistance programs, people lining up at Wal-Mart on the last day of the month, waiting for the clock to strike midnight so they can buy their family milk and bread on their food stamp debit card, seem to be the most likely to rebel first. As food prices increase, food stamps are obviously going to buy you less food. On top of that, as food prices escalate, millions more will need food assistance, right at the point when the current safety net can least afford it. Let’s analyze the most recent food stamp data to see how America’s inevitable revolution may begin. In our nation’s capital, the District of Columbia, there are 131,611 people on food stamps, which is a stunning 21.9% of the population. As mentioned before, cities with a poverty rate over 25% – Detroit 36%, Cleveland 35%, Buffalo 29%, Milwaukee 28%, St. Louis 27%, Miami 27%, Memphis 26%, Cincinnati 26% and Philadelphia 25% – are also highly vulnerable to revolt. Given all the data, due to New York’s geographical lay out, population size and proximity to power, it is a prime candidate for insurrection. There are currently 2.9 million people living in New York that are on food stamps, which is equivalent to the entire population of Manhattan. Just imagine three million people flooding into lower Manhattan. Imagine if three million people decided to take a 15-30 minute subway ride down to the Financial District and camped out from Wall Street to the NY Fed, spilling over to the corporate offices of JP Morgan, Goldman Sachs, Citigroup, Wells Fargo, Morgan Stanley and Bank of America. Perhaps the one million people on food stamps from New Jersey and Connecticut will make a short trip into lower Manhattan as well, four million strong shutting down lower Manhattan, the economic capital of the world. How would that play out in the global media? One million people gathering in Cairo, Egypt sent shock waves throughout the world, and rightfully so, but just wait until millions of Americans begin flooding the streets. The revolution contagion will spread throughout the world like a category five hurricane. While bloated federal and state spending has grown to staggering levels of debt, and demands immediate attention, any cut in spending or attempts to reduce the deficit must first come at the expense of the organized criminal class that has looted the national economy. Any cuts that happen before that need to be understood as an escalation and extension of the attacks on the American people. While continuing their attacks on American small businesses and private-sector workers, the global financial elite are now stepping up their attacks on public workers. In this context, the Wisconsin state government attacks against the state teachers’ union doesn’t have anything to do with the old Democrat Vs. Republican divide and conquer debates of the past. This is about people fighting back against their economic oppressors. In Egypt, Mubarak was the Neo-Liberal Aristocracy’s local enforcer. In Wisconsin, Scott Walker is the Neo-Liberal Aristocracy’s local enforcer. This battle in Madison, Wisconsin, between the American people and the global financial elite, represents the opening salvo, the awakening of an American resistance movement and a sign of what’s to come. “Scott Walker, the governor of Wisconsin, announced an assault against state…. Walker’s proposal, which he said would quickly pass in the state legislature, drastically limits collective bargaining, removing the right of unions to negotiate pensions, retirement and benefits…. “In Egypt, workers are having a revolutionary February. In the United States, by contrast, February is shaping up as the cruelest month workers have known in decades. The coup de grace that toppled Hosni Mubarak came after tens of thousands of Egyptian workers went on strike beginning last Tuesday. By Friday, when Egypt’s military leaders apparently decided that unrest had reached the point where Mubarak had to go, the Egyptians who operate the Suez Canal and their fellow workers in steel, textile and bottling factories; in hospitals, museums and schools; and those who drive buses and trains had left their jobs to protest their conditions of employment and governance. As Jim Hoagland noted in The Post, Egypt was barreling down the path that Poland, East Germany and the Philippines had taken, the path where workers join student protesters in the streets and jointly sweep away an authoritarian regime. But even as workers were helping topple the regime in Cairo, one state government in particular was moving to topple workers’ organizations here in the United States…. Scott Walker, Wisconsin’s new Republican governor, proposed taking away most collective bargaining rights of public employees. Under his legislation… the unions representing teachers, sanitation workers, doctors and nurses at public hospitals, and a host of other public employees, would lose the right to bargain over health coverage, pensions and other benefits. (To make his proposal more politically palatable, the governor exempted from his hit list the unions representing firefighters and police.)…. It is extremely hypocritical when well-paid mainstream “news” people talk about how repressive and barbaric the Mubarak regime is in Egypt. Once again, I doubt they’ve been to inner city America recently. If you want to report on Egypt participating in torture, it is vital to point out where they were getting their weapons, training and funding from. Who paid them to commit horrific crimes against humanity? Look in the mirror US taxpayers; you may not like what you see. WikiLeaks Docs: Torture-Linked Egyptian Police Trained in U.S.
“Newly released classified U.S. diplomatic cables from WikiLeaks have shed more light on the key U.S. support for human rights abuses under Mubarak’s regime in Egypt. The cables show Egyptian secret police received training at the FBI’s facility in Quantico, Virginia, even as U.S. diplomats in Egypt sent dispatches alleging extensive abuse under their watch. Coincidentally, Quantico also hosts the military base where alleged WikiLeaks whistleblower U.S. Army Private Bradley Manning is being held in solitary confinement. America the beautiful… The Transportation Security Administration, from electric shocks, sleep deprivation and zombie states in Egypt, to cancer causing, civil liberty-destroying Naked Scanners at an airport near you. If you want to report on Egypt putting their citizens in prison, again, the hypocrisy is astonishing. The US, by far, has more of its citizens in prison than any other nation on earth. China, with a billion citizens, doesn’t imprison as many people as the US, with only 309 million American citizens. The US per capita statistics are 700 per 100,000  citizens. In comparison, China has 110 per 100,000. In the Middle East, the repressive regime in Saudi Arabia imprisons 45 per 100,000. US per capita levels are equivalent to the darkest days of the Soviet Gulag . Again, just because you don’t hear this reported on TV, doesn’t mean it’s not happening. “As mass revolt spreads across Egypt and the Middle East and citizens there demand jobs, civil liberties and an end to police state abuses from repressive, U.S.-backed torture regimes, the Obama administration and their congressional allies aim to expand one right here at home. Last week, the Electronic Frontier Foundation (EFF) released an explosive new report documenting the lawless, constitutional-free zone under construction in America for nearly a decade. That report, ‘Patterns of Misconduct: FBI Intelligence Violations from 2001-2008,’ reveals that the domestic political intelligence apparat spearheaded by the Federal Bureau of Investigation, continues to systematically violate the rights of American citizens and legal residents…. * From 2001 to 2008, the FBI reported to the IOB approximately 800 violations of laws, Executive Orders, or other regulations governing intelligence investigations, although this number likely significantly under-represents the number of violations that actually occurred. * From 2001 to 2008, the FBI investigated, at minimum, 7000 potential violations of laws, Executive Orders, or other regulations governing intelligence investigations. * Based on the proportion of violations reported to the IOB and the FBI’s own statements regarding the number of NSL [National Security Letter] violations that occurred, the actual number of violations that may have occurred from 2001 to 2008 could approach 40,000 possible violations of law, Executive Order, or other regulations governing intelligence investigations. In other words, in order to illegally spy on Americans and haul political dissidents before Star Chamber-style grand juries, the FBI routinely committed perjury and did so with absolute impunity. When the Egyptian regime shut down the Internet, they did so by using American made technology. Having been knocked offline here at AmpedStatus.com, we have firsthand experience in what it feels like to have your ability to communicate and First Amendment rights stripped away. We still don’t know who was behind the attacks on our website, but the situation in Egypt was an interesting case study. As it turned out, Obama’s new Chief of Staff, Bill Daley’s company provided the technology used to shut down the Internet in Egypt. No, I’m not referring to JP Morgan, it was the other company Bill Daley was a board member of up until last month, Boeing. “The Mubarak regime shut down Internet and cell phone communications before launching a violent crackdown against political protesters. Free Press has discovered that an American company — Boeing-owned Narus of Sunnyvale, CA — had sold Egypt [Telecom Egypt, the state-run Internet service provider] ‘Deep Packet Inspection’ (DPI) equipment that can be used to help the regime track, target and crush political dissent over the Internet and mobile phones. Narus is selling this spying technology to other regimes with deplorable human rights records. Within an hour of publishing that report , our site was knocked offline. Something that has become very clear to me: when you accurately criticize the most powerful people, most people will ignore you, except the people who have the most power. They notice right away, and they let you know about it. As I said, this is all probably just a coincidence. However, this tangled web of interests between the Pentagon, Wall Street and the White House is fully exposed, yet again, with Obama’s special envoy to Egypt, Frank Wisner Jr. The recent internal emails from cyber-security firm HB Gary, released by WikiLeaks, exposing online campaigns to crackdown on critical journalists, reveals some of the other common methods used by the financial elite, like the Chamber of Commerce and Bank of America, to target and silence political adversaries. DYLAN: Am I correct in understanding that substantial, legitimate, serious, powerful private security firms were pitching Bank of America and the Chamber of Commerce a campaign for which they would be paid money, in which they would assassinate the reputations and intimidate and threaten the well-being of targeted private individuals. Is that true? GLENN: Yes, the journalists, activists, political groups, and the like. DYLAN: Whoever it may be. And that the law firm that brought these private security firms in was recommended by the U.S. Department of Justice. So it’s on a recommendation from the DOJ that private and substantial security firms are being brought in to pitch smear and intimidation campaigns against those who support transparency in information. Fair? GLENN: Well, one ironic twist is that it came out through a leak and the other ironic twist is that these are internet security firms that held their expertise in providing internet security and yet their e-mail system was hacked. Propaganda doesn’t work as well when you have the Internet, a cyberspace Underground Railroad, a form of mass communication that allows citizens to interact without corporate gatekeepers effectively censoring critical thought. All of these attacks show the desperation of the ruling class, in attempting to maintain an obsolete propaganda system. Just look at how common and accepted unlawful practices have become in pursuit of their goals. It is a strategic imperative that we protect Internet freedom from the forces of media concentration and censorship. Organizations such as WikiLeaks and Anonymous are playing a critical role in exposing information and protecting those who are critical of the most powerful and corrupt elements within society. “Many people don’t understand our country’s problem of concentration of income and wealth because they don’t see it. People just don’t understand how much wealth there is at the top now. The wealth at the top is so extreme that it is beyond most people’s ability to comprehend. If people understood just how concentrated wealth has become in our country and the effect it has on our politics, our democracy and our people, they would demand our politicians do something about it…. Top 1% owns more than 90% of us combined…. “We need to focus our strategy on the small group of men who carried out the financial coup. These 13 men played leading roles in first crashing the economy, and then stealing trillions in taxpayer funds. Some of them are now calling the shots and running the government to insure that their obscene profits keep pouring into their coffers. Hank Paulson, Tim Geithner, Ben Bernanke, Robert Rubin, Larry Summers, Alan Greenspan, Lloyd Blankfein, Jamie Dimon, John Mack, Vikram Pandit, John Thain, Hank Greenberg, Ken Lewis. “… while we’re observing these historic events in Egypt we might take a lesson in justice. We might come to our senses and freeze the assets of Lloyd Blankfein of Goldman Sachs, Vikram Pandit of Citigroup, Brian Moynihan of Bank of America, Jamie Dimon of J.P. Morgan Chase and John Strumpf of Wells Fargo – for starters. Then we could go after the other major players in orchestrating the financial meltdown – Timothy Geithner, Henry Paulson, Ben Bernanke, Lawrence Summers, Robert Rubin, Alan Greenspan, etc. These guys who waltz away with billions in profits while they create misery and dislocation for many millions of struggling working people are beneath contempt…. We seem ready to kneel at the feet and kiss the hands of those who would rob us blind. If Egyptians can seize the assets  of a dictator like Mubarak, why can’t we seize the assets of Jamie Dimon and Llyod Blankfein? You can’t sentence the overwhelming majority of the population to slow death through economic policy and expect to get away with it. While one-tenth of one percent of the population rolls around in obscene wealth, they may want to take a look outside of their groupthink short-sighted delusional perspective and notice the outside world. You cannot ignore the suffering of the masses. They will show up at your doorstep next. Egypt exposed the power that the people have. One million Egyptians proved that you can shut down a powerful regime through a mass demonstration of non-violent force. Here in the US, according to public opinion polls, 75-80% of the population believes the government doesn’t have the consent of the governed. The mainstream media leaves Americans feeling isolated and powerless to create change, but in reality, average Americans have all the power that they need to end the economic suffering and injustices that they endure. The overwhelming majority of people feel powerless to create change, if they would just realize that they are the overwhelming majority, we would have the change we so desperately need. “To those Americans who feel powerless to change things, I say that your feelings are only a result of your induced delusion. You have become so propagandized that you do not even understand the significant position that you are in…. We are still a mass of people who have the power to change the course of history…. we are 99.9% of the US population, and they are only 0.1%. The people of Tunisia and Egypt has shown us the way. People are rising up throughout the world against the exact same people who looted America. The economic central planners that have launched an economic war on Americans, are also plundering the rest of the global economy with devastating consequences for 99.9 percent of the global population. We are, as fate has it, the most power group of people on the planet. The sooner a critical mass can understand this, and the urgency of the moment, the better chance we have of solving this crisis through non-violent means. When the aware but passive realize that they too will face increasingly harsh consequences, that’s when we will have a chance to fix things. Until then, the hole gets deeper by the day. As nations continue to fall to internal revolt, the more covert and militaristic elements of power will move to the fore. In a world of collapsing economies, limited resources and extreme weather, it appears we are on a road to worldwide war . As the people of Egypt have demonstrated, the non-violent movement has to assert itself before the situation gets so dire that outbreaks of violence will be commonplace, thus insuring a further, much harsher crackdown, police state and Neo-Feudal economic order. “The longer we believe in the fiction that we are included in the corporate power structure, the more easily corporations pillage the country without the threat of rebellion…. No system of total control, including corporate control, exhibits its extreme forms at the beginning. These forms expand as they fail to encounter resistance…. If we do not stand and rebel now, devastating consequences are sure to drastically lower our living standards within the near future. If we rise, people across the globe will continue to rise. When revolution returns to America, the point won’t be to take down a figure head puppet politician like Mubarak or Obama, mere public relations moves will not suffice. We will take down the system behind them. We will take down the global banks, break them up, end the campaign finance racket, end closed-door lobbying, end the system of political bribery, end the two-party oligarchy, remove puppet judges who voted for unlimited spending by private economic elites, end corporate welfare and the various financial rackets which loot national wealth at the expense of the people. Great ready… here it comes. We will not let our families continue their descent into debt slavery. We will not leave our children to toil in a Neo-Feudal society. We will not be on the wrong side of history. A global uprising has begun.